Description: AAV1-CAG-Rluc is a pre-packaged rAAV in 1 (with capsid from AAV serotype 1 and 2xITR from AAV serotype 2) which over-expresses Renilla luciferase (Rluc) under CAG (also known as CBA) promoter. 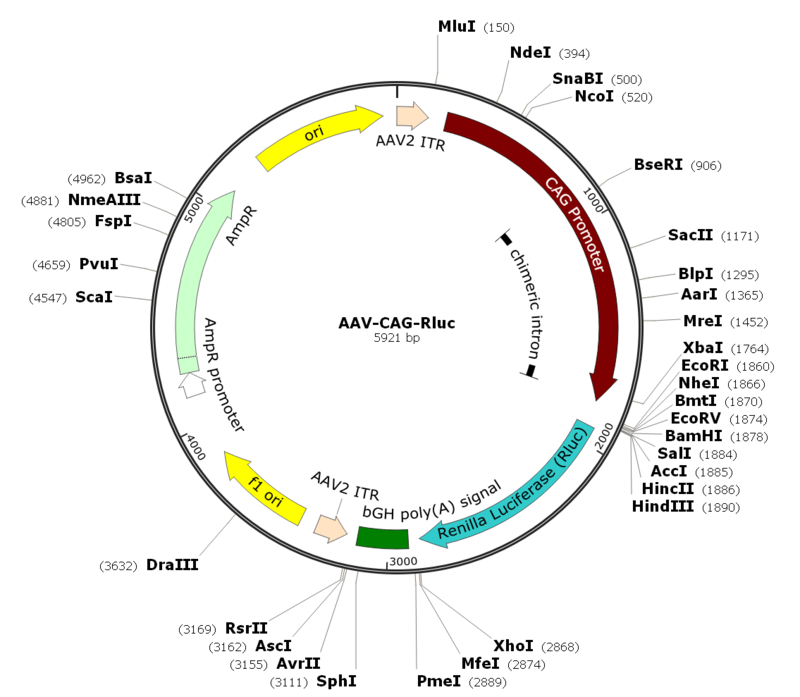 CAG promoter is a combination of the cytomegalovirus (CMV) early enhancer element and chicken beta-actin promoter for high levels of gene expression in mammalian expression vectors. Ready to use format.